In 1992, a 20-year-old African-American woman stepped into an airplane's cockpit for the first time. Recently, she recalled the day as "exhilarating." Tahirah Lamont Brown said after that flight, she felt the "world had no limits." Twenty years later, she made history as the first black female pilot for FedEx. Brown recently reflected on her historic career accomplishments and her journey from wide-eyed novice to experienced mentor and commander of the skies. She said her interest in piloting started when she was in high school. "At that time I had only flown twice in my life, but the more I learned about aviation, the more fascinated I became," she said. The path was arduous. Brown said she worked two jobs to pay for college and for flight training. She also reached out to friends and family saying that if they helped her now, she would pay them back later. After getting her pilot's license, she taught as a flight instructor for two years and then worked for Great Lakes Airlines (United Express) as a pilot. 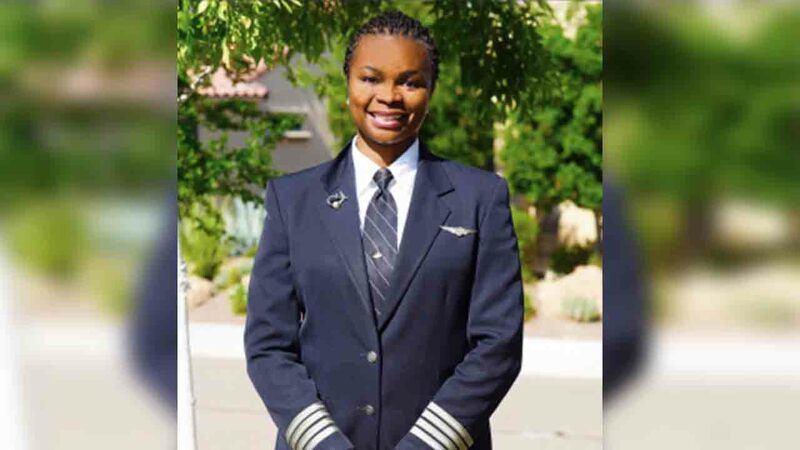 While attending aviation conferences, Brown said she would often speak with FedEx representatives, and eventually joined the company in 2002 as the first African-American female pilot. Since then, Brown has continued to reach new heights. "I became a Line Check Airman in September 2017," she said. "A Line Check Airmen is a dual role position, an instructor and an evaluator. We're selected and trained by FedEx Express and designated by the FAA to train, evaluate and certify the competency of FedEx pilots. With respect to knowledge, skill and proficiency." For those wishing to fly, especially young girls, Brown said getting there is hard work but it's worth it. "You have to make sacrifices, and the road is going to be hard," she said. "I let them know that I am here to support them, to give them advice and to listen to them because that was important to me. But, they will have to find it within themselves to know that it is achievable." Read more about Brown's career on FedEx's blog.